So you've decided that you would like to add an epoxy floor to your garage or basement, but with all the options that are out there, how do you figure out the right one to choose for your application? Well, at GarageFlooringInc we are here to help you answer this question. We will breakdown the different factors you should consider and also give you the questions you should be asking to help you pick the right floor for your space. 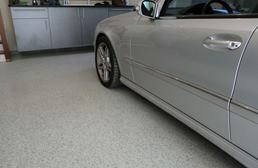 First, let's go over the questions you should be considering when picking the right epoxy floor for your garage, workshop, or basement. The first question you will want to consider is how much you are willing to spend on this floor? The second question you should consider is how would you like your new epoxy floor to look? Do you want it as a smooth, flat color or do you like the flake look? The next question to consider is durability. Is this floor just for light foot traffic or is it a full fledged working garage? The last thing to consider is the condition of your existing floor. This will determine what products you can use and how much prep you will have to do to install your epoxy. Now, let's tackle the first question. 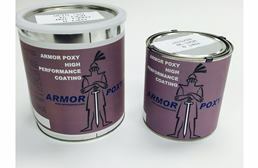 Not all epoxies are made the same so you will need to pay attention to the wording used on the packaging. The best types of epoxies are Two-Part 100% Solids. These epoxies don't contain any solvents and are the best choice for anyone looking for a tough, long-lasting floor. This type of epoxy “cures” through a chemical process that leaves a hard, thick and attractive surface. This type of epoxy would be considered to be the Bentley of epoxies. Two-Part Solvent Based epoxies are water based, like latex paint, and are easy to work with and clean up. Since they are thinner, they don't last as long, which is a huge drawback. These types of epoxies are commonly found at local big box stores sold under Behr, Quikrete, and Rust-Oleum. 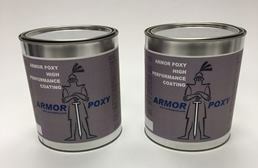 The cheapest epoxy type that you will find is a One-Part Solvent Based epoxy. A true epoxy floor coating comes in two parts. These two parts are the resin and the hardener and they are mixed. These One-Part Solvent Based epoxies are convenient because they come premixed, but they truly aren't any different than paint. These types of epoxies are great if you don't mind touching up your floor every few years, but in the long run will cost you a lot of time and money. Now in terms of looks, you can get solid looks from all three different types of epoxy, but the flake look can only be had with the Two-Part 100% Solids epoxy and the Two-Part Solvent Based epoxy. Now that we have a base for what types of epoxies are available, it's now time to talk about durability. Now there are two factors one should consider that will tell you how durable your new epoxy floor is. One of the first things you will want to look at is the abrasion rate. This factor is very important if you want to have a floor that will last for more than just a year. The main takeaway with the abrasion rating is that the lower the abrasion rating is, the more durable the floor will be. For residential spaces you will want an abrasion rating of 20mgs or lower, for commercial floors, you will want an abrasion rating of 8mgs or low, and for industrial floors you will want a rating of 4mgs or lower. These numbers represent the amount of material that was removed during the test. So the less material removed during the test, the better the product will hold up. The next thing to consider when selecting the right epoxy for your space is the adhesion of the product. Epoxy has a higher adhesion level compared to enamel, but water based epoxies have a lower adhesion level compared to enamel. If the product doesn't adhere well, then it's long term durability can be called into question. So moral of the story here is, don't pick a water based epoxy, if you don't want to have to reapply it every few years. Now there are a few key terms that you will see when researching epoxies. These terms are Pot Life, Working Life, and Gel Time. What do these mean? Let's find out. The Pot Life is the amount of time it takes for the epoxy to cure. A good standard for if a product is a quality or not is this factor. If a product has a Pot Life longer than an hour, then we would suggest you stay away from it. The Working Life is not a factor in how quality a product is, but tells you how much time you will have to work with the epoxy before it hardens. This will help you come up with your game plan for installing the epoxy. Gel Time is the time it takes for the mixed resin to gel or become so hard that it is very hard to work with. Now this is a very important factor to consider because when the epoxy has started to gel, it is recommended that the floor not be disturbed. Any disruption during this time can cause the epoxy to fail. 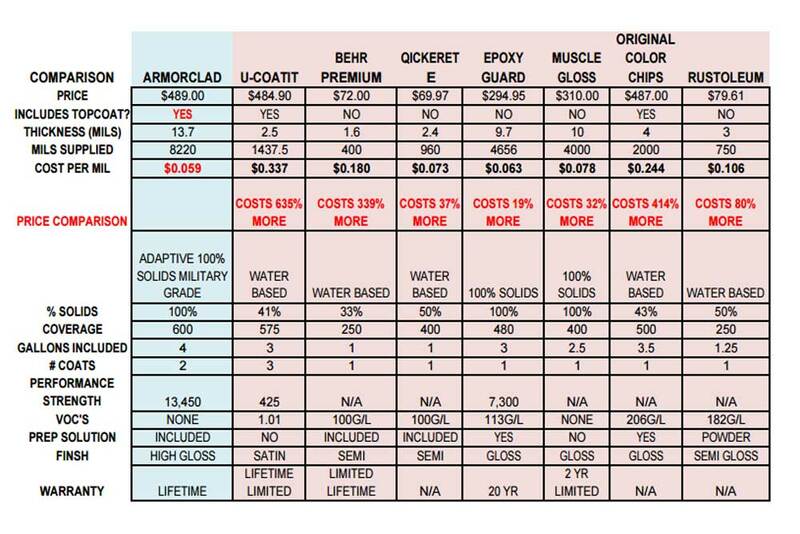 **Now depending on the type and amount of epoxy used and the environment in which the epoxy will be installed will affect each of these factors.